Simon Evans is an English comedian. Hugely popular both in comedy clubs and on the after-dinner and corporate circuit, Evans excels in routines that are adult in the best sense of the word. Simon is one of the UK’s most respected and established comedians. He is a regular on TV and radio and particularly popular on the corporate and after dinner circuit. His TV credits include BBC1’s Live at the Apollo and Michael McIntyre’s Comedy Roadshow, BBC2’s Mock the Week and was a regular on Channel4’s Stand Up for the Week. 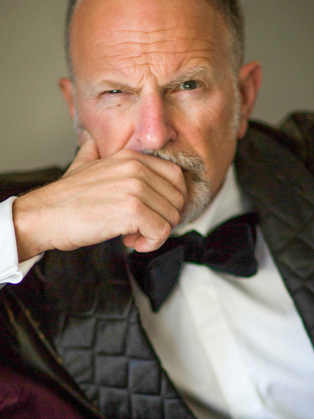 On Radio 4, Simon Evans Goes to Market has audiences delighting in his witty and insightful take on the unpromising comic territory of commodities, trading and wealth. Other Radio 4 appearances include the News Quiz, The Unbelievable Truth and Armando Iannucci’s Charm Offensive. He is also the only comedian to have appeared on both University Challenge – the Professionals, and Celebrity Mastermind (which he won – specialist subject Sir Ernest Shackleton). After a total sell-out Edinburgh Fringe run, Simon will tour the UK in 2018 with his brand-new show Genius.